Architectural Acoustics, or Building Acoustics, is a key specialism of Dragonfly Consulting. Building Acoustics is referred to as the design and testing of buildings to ensure a suitable acoustic standard is achieved for the building. This can be either in relation to sound transmission between rooms or the sound quality within rooms. Our Consultancy Team offers a construction review service and can assist in the acoustic design of buildings from inception through to construction. During the design phase of a build, potential issues such as room acoustics, speech privacy and reducing the impact of external noise sources are all taken into account. Good acoustic design can reduce the overall build costs if dealt with during the design stage of a development. 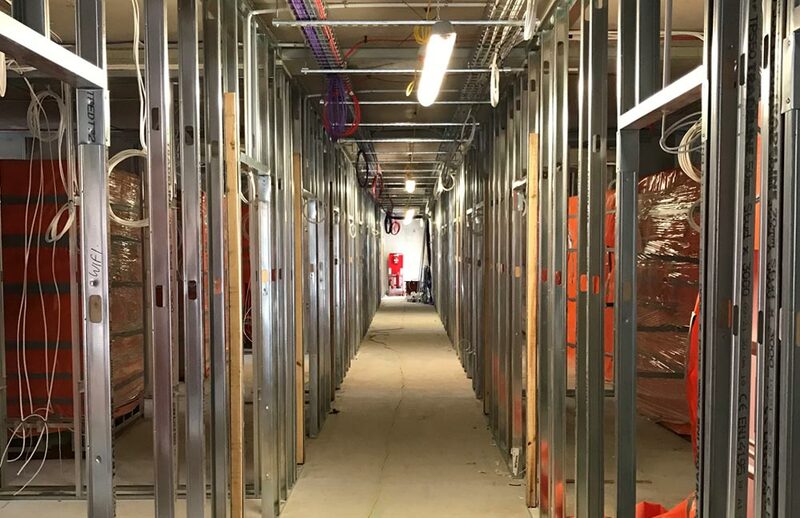 The team has worked on projects as diverse as medical facilities, hotels, university lecture theatres, residential houses and flats, music practice rooms and interview suites. In all instances we ensure that the acoustic separation between rooms meets both the regulatory requirements and the standards of the client. For residential dwellings, the acoustic performance of walls and floors between dwellings and the internal partitions within a dwelling is laid out in Approved Document E of the Building Regulations 2010. Involving Dragonfly Consulting from the beginning of the process can help minimise build costs and ensure that the internal structures comply with the requirements of the Regulations. Approved Document E refers to the Requirements of Part E of Schedule 1 of the Building Regulations 2010 (as amended by SI 2018/558). Approved Document E provides protection against noise (unwanted sound) from other parts of the building and adjoining buildings by defining acceptable noise levels between dwellings. The Regulations apply both to new build houses/flats and to buildings that have been converted for residential use. The Regulations require that sound insulation tests be performed on party walls and floors between dwellings prior to completion of the build. Alternatively, building to designs outlined in the ‘Robust Details’ manual foregoes the requirement for sound insulation testing. For a completed project, we can undertake the sound insulation tests required to ensure compliance. The Dragonfly Consulting team is experienced in sound insulation testing (also sometimes referred to as sound testing, acoustic testing or noise testing) and with on-site diagnosis of noise transmission problems. All testing is undertaken in accordance with the requirements of Approved Document E and the relevant international standards (ISO140: 1998 and ISO717: 1997). We can undertake verification testing and provide detailed, independent advice on any remedial works required. This can include the construction of floating floors, dry lining of walls and many other specialist sound attenuation treatments. Environmental and sustainability issues are increasingly important and we strive to ensure our clients gain every advantage for their developments. We specialise in meeting the requirements of the Department for Communities and Local Government Codes for Sustainable Homes (EcoHomes) and The Building Research Establishment’s Ecohomes scheme (BREEAM).